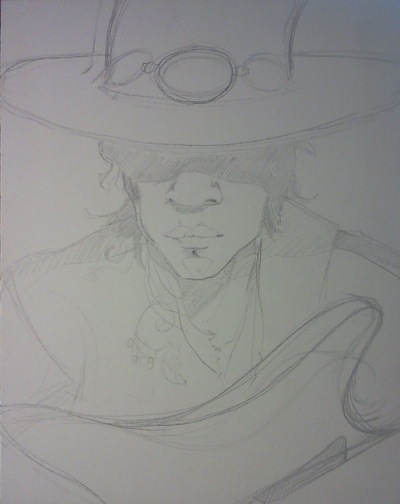 Stevie Ray Vaughn | Randy McQuien, Jr. 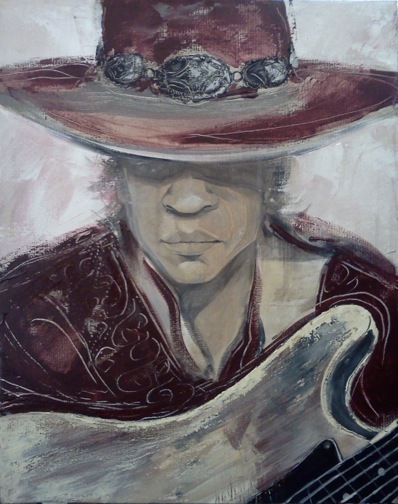 I did this drawing of Stevie Ray Vaughn directly on to a pre-stretched canvas that I bought at my local art store. The main colors I used on my palette were Naphthol Crimson and Quinacridone Burnt Orange, Yellow Orchre and Titanium White, Burnt Umber and Ultramarine Blue. I’d appreciate any constructive criticism you might have. Thanks! This entry was posted in Art by righthandillustrator. Bookmark the permalink.